As a vendor and sponsor for the PPG Summit this year in Orlando, FL. 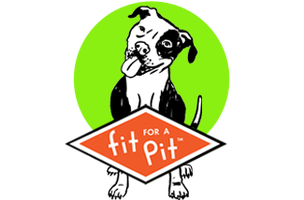 Fit for a Pit has been provided with some discounted packages to offer its supporters on a first come, first served basis. Limited places so grab yours now! Fabulous Prices, Great Education, a Don't Miss Opportunity! Great Dane Package What You Get - Room, Food and Entrance! Summit attendance for all days’ presentations. 4 nights in a deluxe room (November 16, 17, 18 and 19). Arrival drinks and fun lei. SWAG bags stuffed with goodies. Breakfast and lunch on November 17, 18, 19. Summit Gala Dinner on November 18th and UNLIMITED LABS! If that isn’t enough of a great deal, then arrive early or stay longer for an Orlando vacation and the hotel will give you the same PPG special room rates. This is clearly the best value in your Professional Education. Invest in yourself, sign-up today before these special sponsored packages are gone.